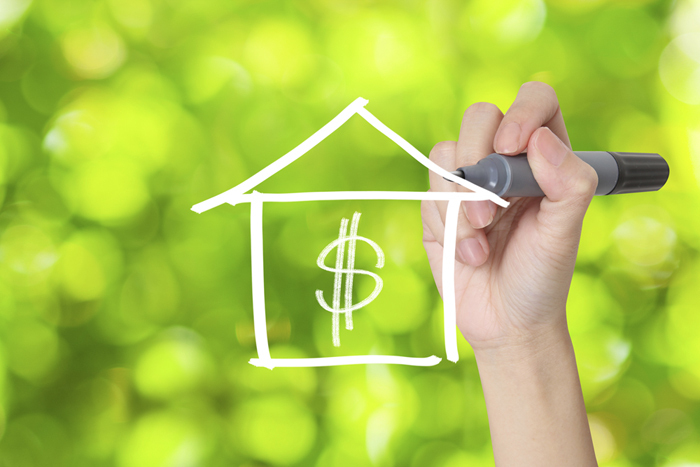 Establish a reasonable budget for your custom home. Start out by defining how much you can spend on your new custom home and what it will cost you to do so. In most cases you will need a construction loan and a mortgage. You want to nail your financial needs down early on so you can find out what size of loan you will need and what you can qualify for. Just knowing the estimated costs on the front end of the process will help you structure and/or modify your building plans to address your budget needs. 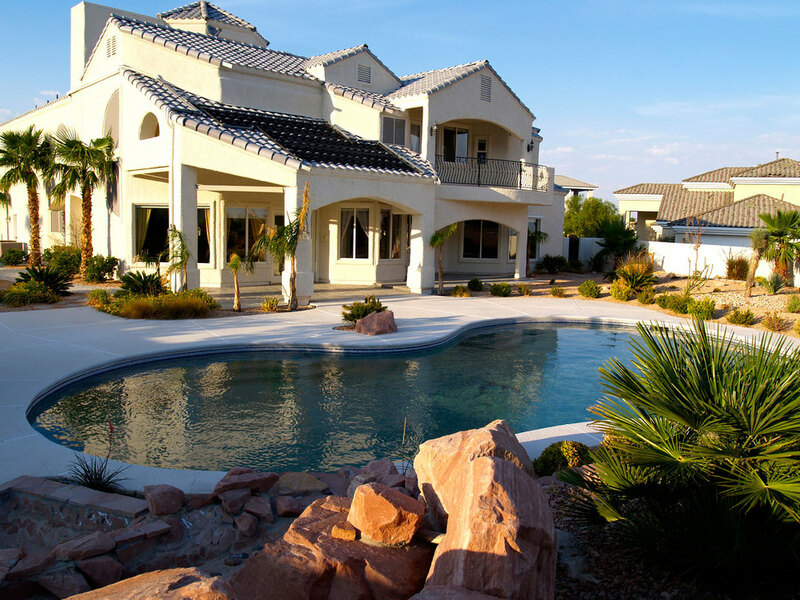 Whether you are building a custom home in a suburban area or a site with stunning views of the beautiful desert around Las Vegas, it is vital to choose the raw land before you move on to your actual floor plans or any other major design decisions. And, hire a team of engineers that can help you assess the soil conditions, zoning and building codes for our area and drainage of the raw land. Hire a local team of experts to help you. 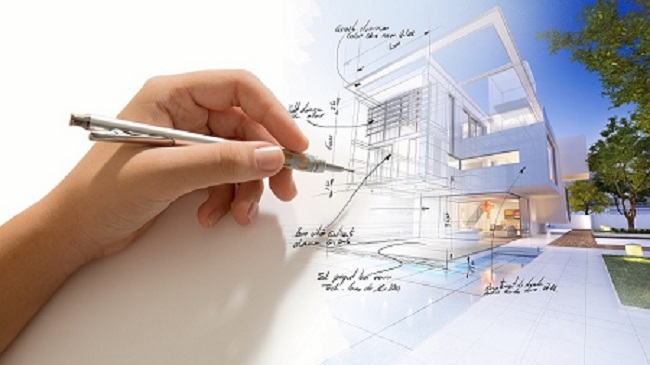 Many people start off hiring a builder or contractor first and then have this individual help them round out the rest of the team; but, you may want to start out by hiring an architect who will help you design your actual home. 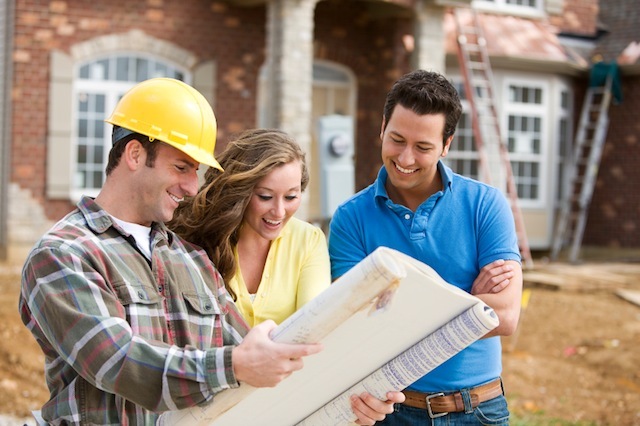 Then, you will hire a builder or contractor, with the architect’s assistance during the interviewing process. This will also help you have an understanding of how these two individuals and/or firms will work together building your custom home. And, if you involve the builder early in the process he or she can help you save costs by making comments and/or input on various facets of your design process. Select a plan or hire an architect to help you design your custom home. Many new custom homes are built using what are called “stock plans” from a catalogue, provided by the builder. The stock plans are modified or “customized” by changing minor design parameters such as windows, room sizes and/or other minor details. A true custom home is built in most cases from plans that are drawn up by an architect that you hire to design your custom home. Remember that a custom feature is not the same as an optional feature when you are working with stock plans; options are usually standard features that will add tangible value to the home, such as granite counter tops, specialized cabinetry or crown molding; custom features are typically those that are unique to you and the builder will expect to charge a premium for these unique custom features that you are asking for. Negotiate and finalize a contract. Make sure that you establish a formal and written contract with your builder, contractor and/or architect; with a detailed description of your custom home, materials used and some type of a “rough timeline” so you at least have a target completion date of your custom home. After selecting your builder and/or architect, a lot and final architectural plans, most custom home buyers will need to set up a construction or permanent loan in order to finance your dream custom home. Most banks will offer you an attractive loan to finance the lot and construction process that then convert automatically to a traditional permanent home loan. It is important to note that many banks may reserve the right to approve a home builder - make sure you define this early in your conversations with your lending institution. Be very flexible in working with your builder/contractor. Rest assured problems will arise as you move through the construction process of your custom home- be prepared to compromise when/where it makes sense.Errors will occur during the custom home building process and should be corrected by your contractor at their expense. But, if you are being too much of a perfectionist in all things then you may win many battles but lose the war by alienating the most important person involved in your project, your contractor! Know what your building codes are and question things that do not seem to be right to you. Know what makes up a proper foundation for your custom home as an example and what types of completion certificates are provided by the jurisdiction where your custom home is being completed in. Stay on top of the building codes at least in a big picture sense so you have some good idea what is occurring as your house begins to take shape during the construction process. Save on building costs when/where you can without altering your design in a major way. Perspective is vital when you are weighing building costs and/or modifications; increasing the costs of siding or custom bricks may be a small increase in expenditure but changing your actual square footage of your house will raise your costs significantly. Think about these changes as you discuss them with your team and be aware of the cost implications if you make major versus minor changes. And, don’t let frivolous enhancements suggested by friends and family get out of hand - they can overwhelm the basic construction of your custom home if you are not careful by putting too much stress on your home’s infrastructure/foundation. Design details can save you money if you think them through. 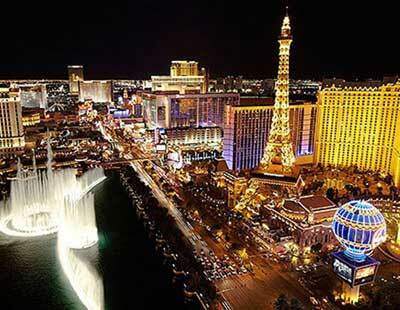 We enjoy more bright sunny days in Las Vegas than in just about any metropolitan city in the world - design your floor plan so you can take advantage of the sun’s path over your house and use solarized window treatments that will save you energy costs during the life of your house and that will minimize the sun’s glare on your interior furnishings.